PC Care offer a wide range of support and services to home PC users and Small Businesses in and around the South Yorkshire and North East Derbyshire areas. The most popular services are listed below, but if you are looking for something that isn’t listed please feel free to give us a call as we are always happy to help. Simply click on a service below to read more. PC Care can diagnose and repair any make or model of PC or Laptop. We offer an on site service, saving you the inconvenience of having to transport you computer too and from a shop and then fathom out how to connect everything back up again. The vast majority of faults we can repair on-site in your home or office, but should the fault require more in-depth investigation or specialist diagnostic hardware, we will uplift your computer to a specialist workshop, rectify the fault and then deliver the unit back to you at a time that suits you. 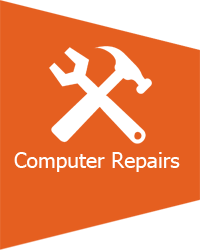 We always keep you informed at every stage of the repair and will quote the cost of parts and labour before undertaking any work, so there will never be any nasty hidden or surprise charges once your computer is back up and running. Our advice is always honest and unbiased, so if at any point we believe a repair would not make economical or financial sense, we will let you know and offer advice on a more practical or cost effective solution. 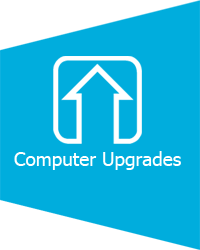 If your computer is running a little slow, or struggling with the latest programs, applications, games or software then maybe it is time to consider having an upgrade installed. Upgrades can greatly extend the useful operating life of a computer and are a much more cost effective solution to buying a brand new computer. PC Care can happily offer any advice on the most effective upgrade solutions from adding extra memory to installing the latest graphics card and will assist you in deciding what upgrade is right for you and your computer. Just about every piece of home entertainment gadget is now capable of wireless internet connectivity. From Computers and Laptops, to Mobile Phones and Games Consoles, even most modern TV’s are capable to downloading and sharing content from other computers or the Internet. 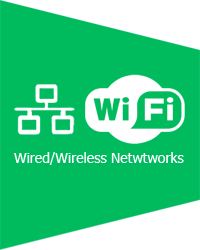 PC Care can expertly advise on the best hardware and implementation of Wireless Networking equipment and how to eliminate dead spots or areas of week signal, to ensure that all your wireless devices remain connected no matter where you are in your home or garden. We can also show you how to make your wireless network safe and secure from potential identity thieves or fraudsters. 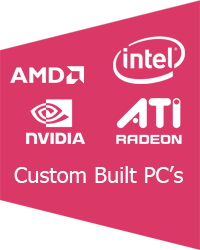 PC Care can design and build a PC system around you, your requirements and to suit your budget. Most “off the shelf” systems have to try and appeal to as wider demographic as possible, having some features for business, some features for family’s and some features for gamers. This approach leads to systems that are ultimately average to poor at most things. By having a PC designed and built around you, you get a system that excels at the tasks you use the PC for and doesn’t get slowed down by all the superfluous software that is installed by the big brand manufacturers trying to make one system fits all PC’s. PC Care can design and build your perfect PC ensuring you get the best performance and value for money. 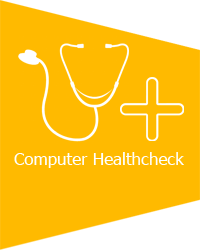 If your PC is running a little slowly or behaving in a strange manor, or you simply want to maintain your PC’s optimal performance, then a PC Healthcheck is just what you need. PC Care can check over your system, remove any bloatware (unwanted programs, applications, tool bars and add-ons). We will optimise your computers start up performance and Internet settings/connection. Check the general health of your system (both hardware & software) and restore some of the performance it has lost over the months/years it has been used. We will also advise you if there are any cost effective upgrades that will help your PC keep up with the performance of newer systems. For an advanced Heathcheck we will also open up your PC or Laptop, run a visual inspection of all critical components and clean any fans, vents and filters inside the computer. If fans/vents on any computer become blocked by dust and restrict the airflow through them, the heat generated by the components inside the computer gets trapped and this can lead to overheating which can cause PC’s to crash, behave erratically or in severe cases case components to get so hot they sustain physical damage and burn out. PC Healthchecks (just like servicing a car) can keep a computer running at its best and help extend the operating life of your system. If you have an existing system we can also backup and transfer all your important files, documents, photos, videos, music and emails from your old system to your new one, ensuring that you don’t loose a thing. If your computer has broken down and failed, or stopped booting, you may no longer be able to access you precious documents, photos, music or videos stored on its Hard Drive. If you choose not to have the computer repaired, or the repair would not make economical sense then don’t worry about your data as PC Care can still retrieve and backup all your important information. We can also recover files from Hard Drives, USB Memory Sticks and Memory Cards used in digital cameras or mobile phones. This includes accidental formatting/deletion of data as well as failure or corruption of the device. If you have a Hard Drive, USB Memory Stick, or Memory Card that has stopped working or has been accidentally wiped you need to stop using it IMMEDIATELY and call PC Care. Any further attempts to read/write to the device can corrupt or damage the data further, limiting the chances of future recovery. 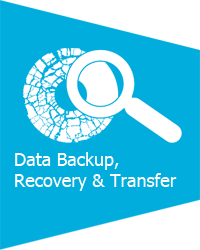 Once any data has been backed up or recovered from a device we can either transfer it to a working system or provide a copy of your data con CD/DVD. Would you like to know more about your PC or a particular program running on it? Learn about what you can do with your computer, get the best out of your system, digital camera, the Internet, video calling or email? 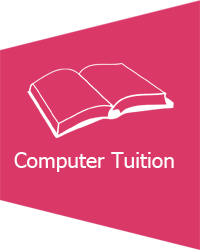 PC Care can provide you with tuition and support from video calling distant friends and relatives, to creating a spreadsheet to track your budget. We can also offer advice and guidance on Digital Photography, taking and editing photos creating an online photo gallery/album and even compiling and editing video to put onto DVD, PC Care can show you how and advise you on how to get the best result every time. PC Care can offer a full range of Website Design and Hosting services. We can create anything from a small single page web business card, through to a multi page website/portfolio, through to a fully featured online shop or e-commerce site. We offer a complete service which can include logo design/creation, website design and development, content creation and management, design and creation of media for print and Search Engine Optimisation (SEO) services or manage web advertising campaigns via Google AdSence. 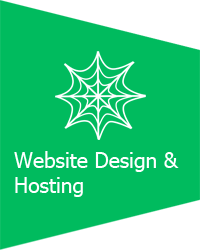 On top of this we also offer website and email hosting services at very competitive prices. If you have had and accident and your Computer, Laptop or Tablet PC has got damaged you may be considering claiming against your Insurance. 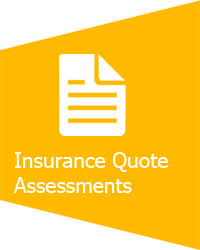 Some insurers will ask you to obtain an independent assessment of the damaged item and associated repair cost. Obviously if the repair costs come close to or greatly out weight the cost of a replacement the insurers will ask for proof of this and this is a service that PC Care can provide. We will inspect your device and generate a full written report detailing the damage/faults evident on the system and a complete breakdown of the repair costs including all parts and labour. We can then arrange to either send a copy of the report to yourself or deal directly with your insurer saving you time and hassle. 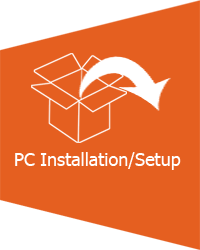 Being a Microsoft Registered Refurbisher, PC Care can offer a range of professionally refurbished Desktop and Laptop PC’s. A refurbished system from PC Care can help make your budget go further. Buying a second user system that has been fully inspected, tested and serviced by us, and that you can be assured has a genuine copy of Microsoft Windows installed. With a PC Care refurbished PC you also get peace of mind with our 90 day warranty (extendible to 12 months). 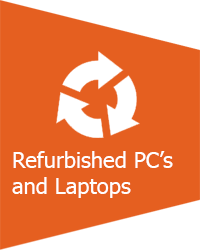 Buying a refurbished PC not only saves you money, but also helps reduce the amount of WEEE (Waste Electrical and Electronic Equipment) that simply gets thrown away. It was estimated that around 357,000¹ tonnes of IT equipment is thrown away each year, so by refurbishing perfectly working PC’s that some large organisations deem to be too old, we can extend their usable life and allow our customers to benefit from a great 2nd user system at a great price. Click on the Microsoft Registered Refurbisher logo to download a helpful PDF about purchasing a refurbished PC. ¹ Figure obtained from ICER (Industry Council for Equipment Recycling) 2000 Annual Estimate of WEEE from IT.